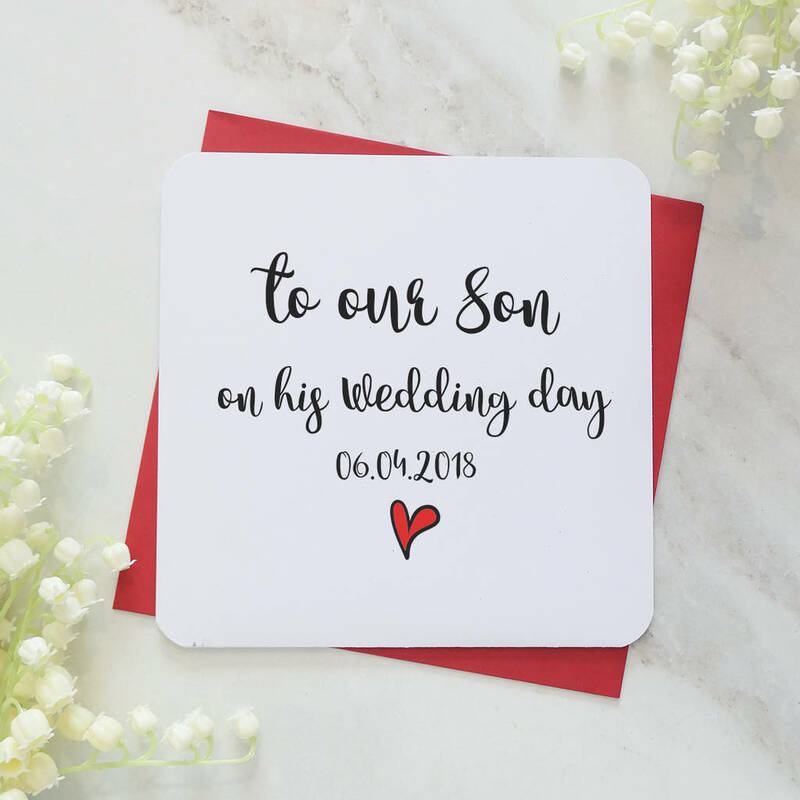 A stunning personalised card to send to your Son on his Wedding day. This card is sure to bring a smile to your wonderful Son on his wedding morning, and is sure to be cherished forever. 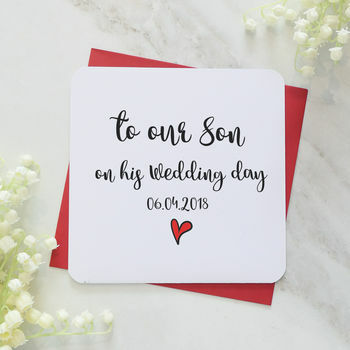 The card features the words 'to our Son on his Wedding day [date] ' in a stylish script font. A small red heart is below the text. Please enter the date you require in the box provided. You can choose to add a message inside the card to make it more personal by selecting 'yes please' from the drop down box and enter the message you require in the box below that one, making sure its correct as it will be printed as you write it. If you are away from a loved one and want us to send this card direct to the recipent in the purple envelope we can do that. Simply select the relevent option from the drop down box and make sure you add the recipent's name and address when you check out. The envelope is red and is made from 100gsm paper. It is embossed with the Parsy logo on the rear and can easily be written on with black pen.